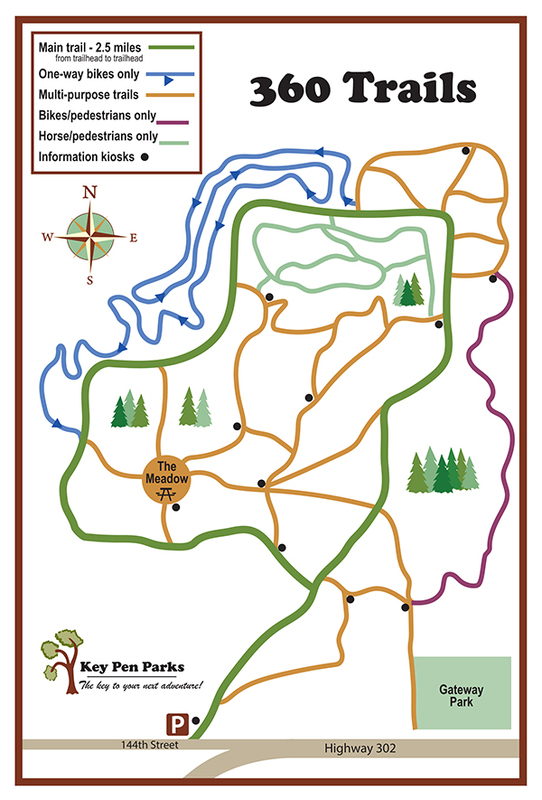 At the north end of the Key Peninsula lies 360 acres of land known as 360 Trails. The property includes trails which are accessible to walkers, equestrians and mountain bikers. The main trail is a large open look that takes about an hour to walk and there are smaller trails that cut back and fourth in the woods that mingle with the main oval trail. 360 Trails is the location of many running and biking events each year. It is about 3.5 miles from the main stop light in Purdy to the 360 Trails parking area.